With more than 30 years of experience with both direct and channel partner sales experience in the information technology industry, Dr. George Michaels is the Chief Technology Officer for Blue Line Technology. His focus in this role is to leverage Blue Line Technology’s emerging high-performance computing, real-time analytics technologies and data sciences to enable business innovation for biometric security solutions. An internationally recognized computational science pioneer, Dr. Michaels has successfully brought information technology to applications of complexity sciences for discovery and organizational development. 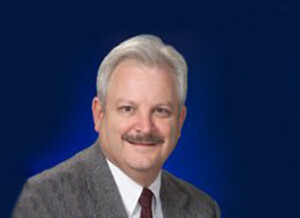 Prior to joining Blue Line Technology, Dr. Michaels held leadership positions with Intel Corporation, Pacific Northwest National Laboratory, Monsanto, George Mason University and the NIH. During his tenures at these various companies, Dr. Michaels was responsible for a number of various activities. These responsibilities included developing information mining technologies that have delivered impactful, quantifiable results in the defense, life sciences and high-technology industries. In addition to leading government research organizations, Dr. Michaels has been successful in creating new business units and research programs as well as chairing symposiums. Dr. Michaels has also spent a significant amount of time successfully directing strategic research and partnership with government agencies and national laboratories for energy, environment and other sciences that required extensive numerical and data-intensive computing capabilities. Dr. Michaels has a Bachelor of Science in microbiology in addition to a PhD in biochemistry and molecular biology from the University of Florida.